This year for my birthday, I had a flamingo fest! 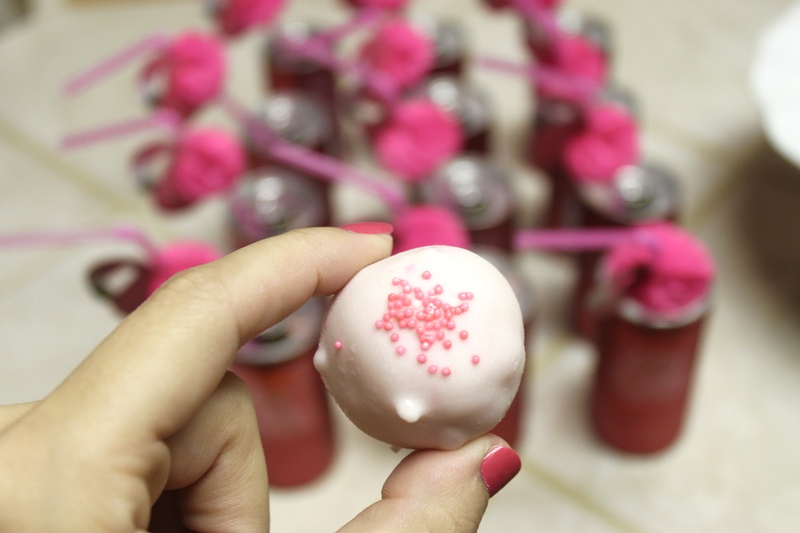 I spent the weekend at a friend’s lakehouse and celebrated with all things pink and festive! Of course, the key to a great event is being ready for anything to happen and going with the flow- that’s exactly what we did when the torrential downpour happened and we all had to take cover inside the house and grill out in the rain! 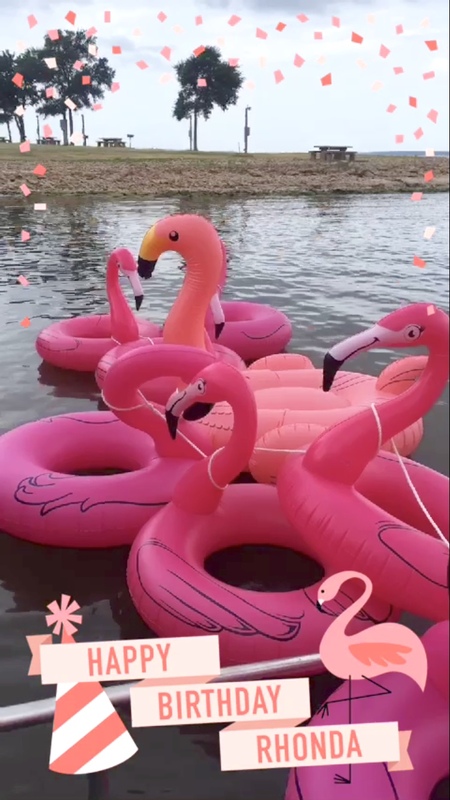 Some people think I’m a little crazy to plan my own party, but I really just like to use my birthday as an excuse to throw whatever party I’ve been wanting to do but haven’t had an excuse for….hence, flamingos! I used a few key flamingo elements to give an overall flamingo motif to the weekend: invitations, yard stakes, straws, and floaties. Those four elements made a large impact on the entire event without me having to buy flamingo everything! 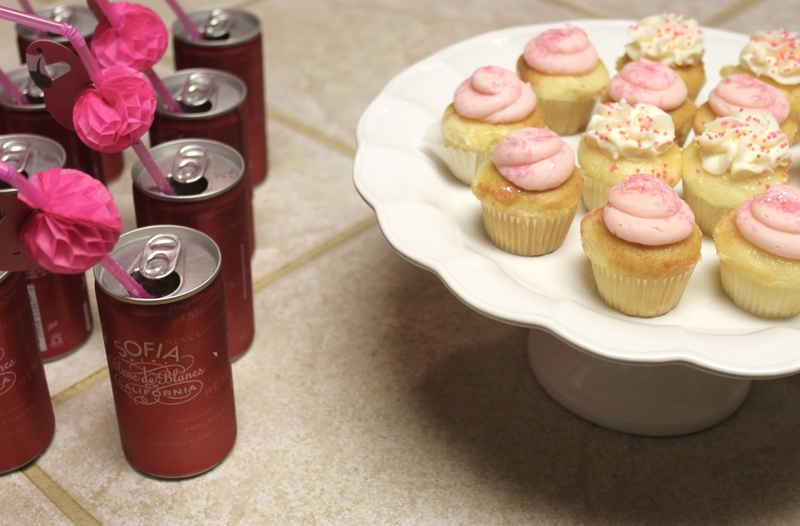 A few more touches of pink, and my party was complete! I’ll show you how to recreate the look for you own flamingo fest! To set the tone for the party, I sent this flamingo invitation to get friends excited about the event! If you’re hosting a small event, you could also use these flamingo coaster floaties as invitations- I love 3D invitations! I did one special thing that I have never done at a party before… created a custom Snapchat filter! My roommate Kristin was kind enough to design a flamingo filter for me and it was a huge hit; all of my friends on Snapchat loved using it throughout the weekend! I will definitely be creating more custom filters in the future. Flamingo yard stakes marked the road to the lakehouse and directed friends to the correct address as they entered the lakehouse community. 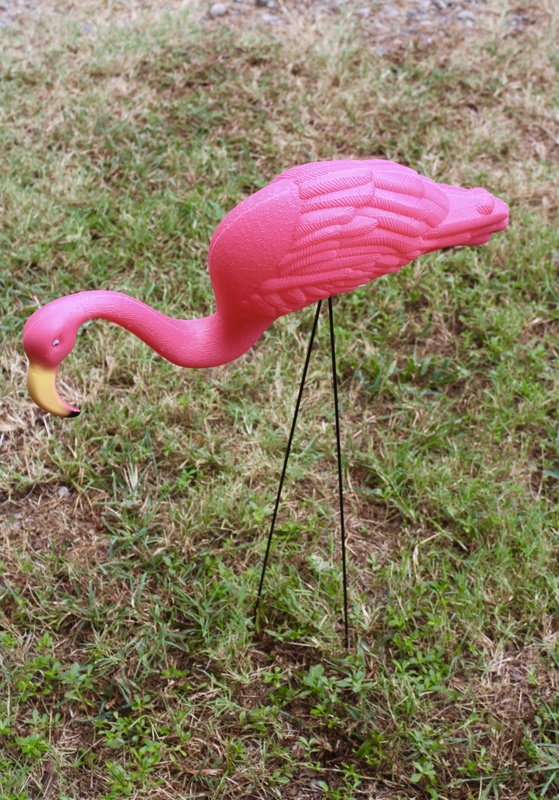 I found affordable flamingo yard stakes on Amazon and at oriental trading co. 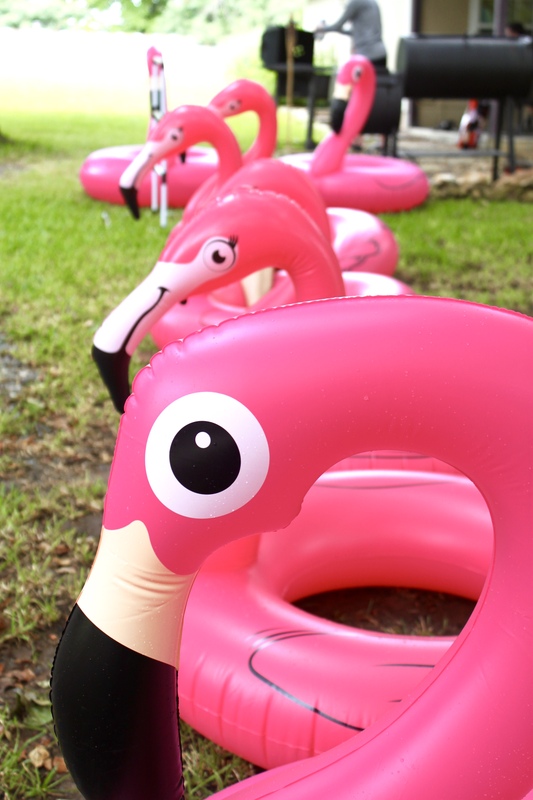 I don’t plan on hosting another flamingo party anytime soon, so I’m selling all of my supplies on Amazon- it’s a great way to recoup some of your event expenses! 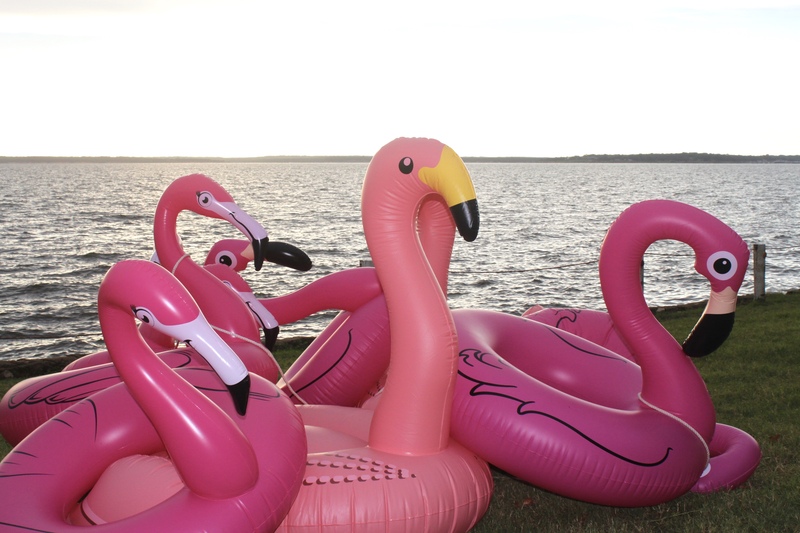 When my friends arrived at the lakehouse they were greeted by ALL of the flamingo floaties sitting in the front yard. Note: using an electric pump, the small intertubes take about 20 minutes to inflate and the large floaties take about 40 minutes. Plan accordingly! I used the two large flamingos to flank the doorway as a grand entrance. We grilled burgers for lunch and of course celebrated with cupcakes by The Original Cupcakery- yum! 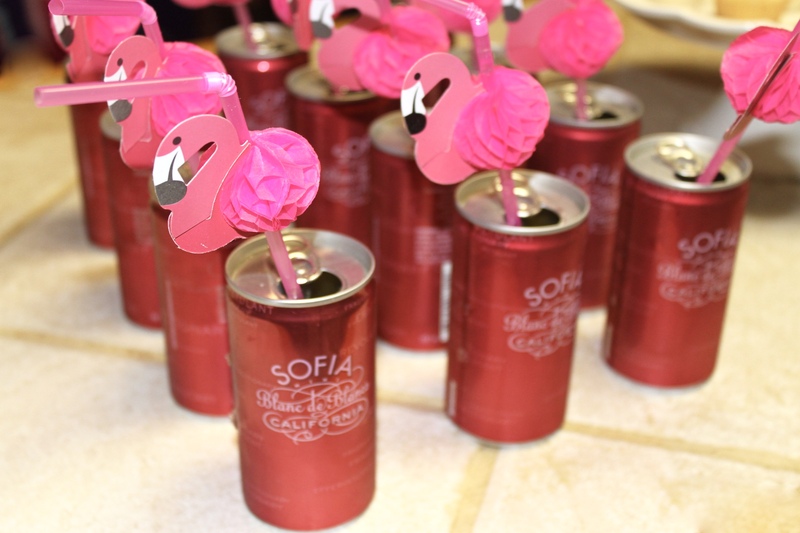 Flamingo straws jazzed up pink cans of Sofia. I love doing things that are a little bit out of the ordinary for my birthday- it’s my one chance each year to do something that I’ve been wanting to do! The best part of the weekend was of course spending time with friends and celebrating friendships with some wonderful people that I have in my life.